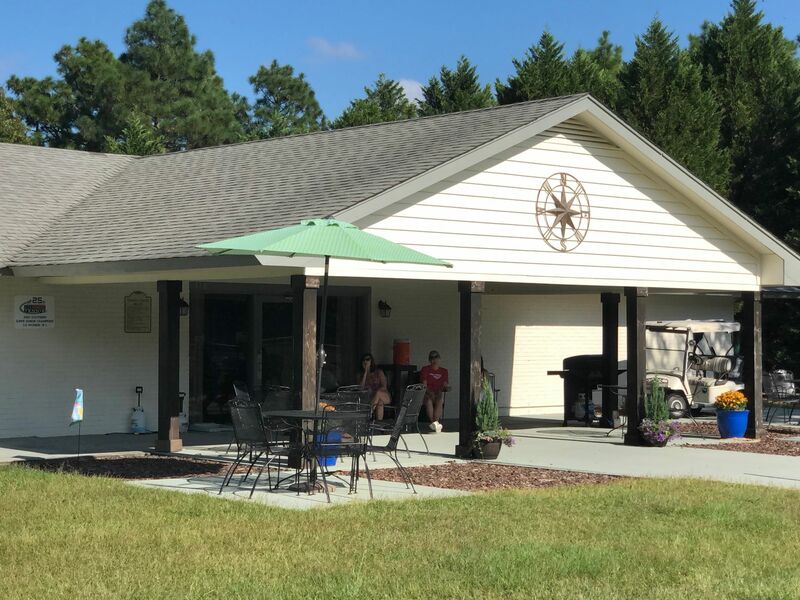 … The Racquet Club at Seven Lakes is located in Seven Lakes, a premier residential community nestled among the stately pines and rolling terrain of North Carolina’s Sandhills region. 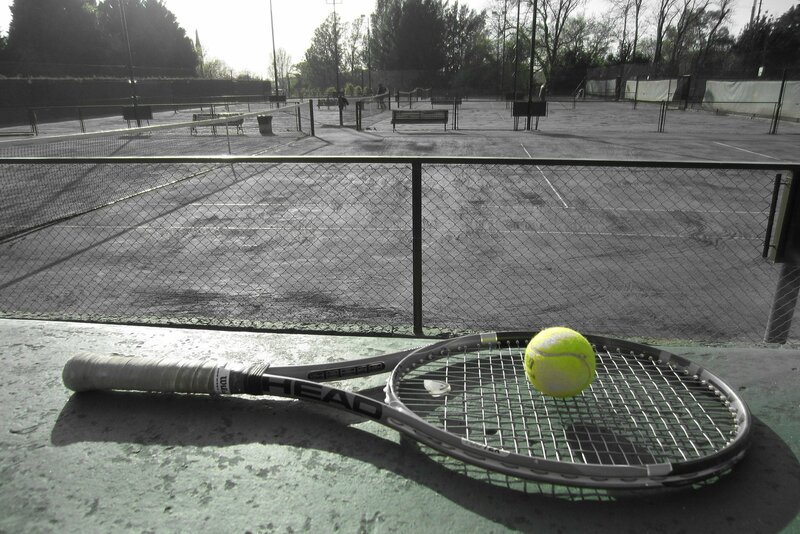 If tennis is your game, you will relish the club’s six Har-Tru championship clay courts, which were recently resurfaced. Two of the courts are lighted for night play. The tennis complex also contains a pro shop to serve your tennis needs, as well as locker rooms, showers, ball machines, and ample parking facilities. 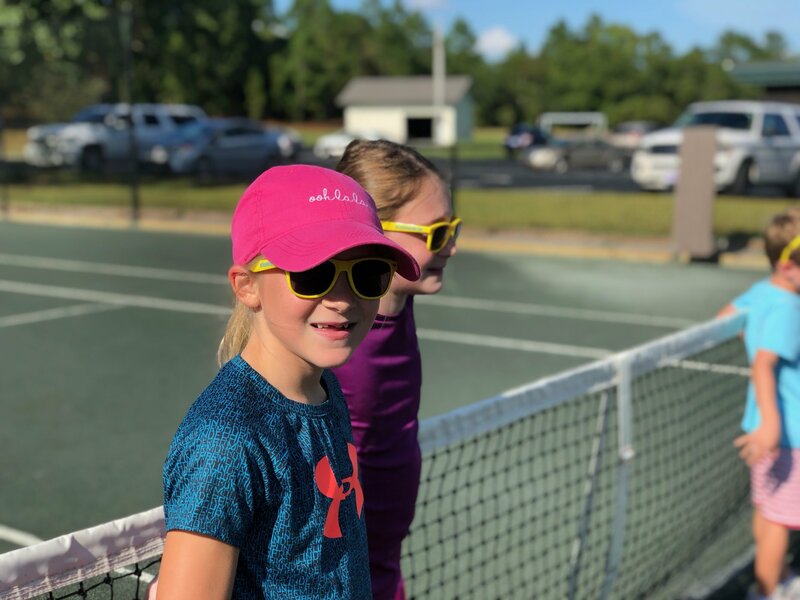 Our full-time professional supervises a schedule of daily play throughout the year, including play days, socials, lessons and clinics for players of all levels. 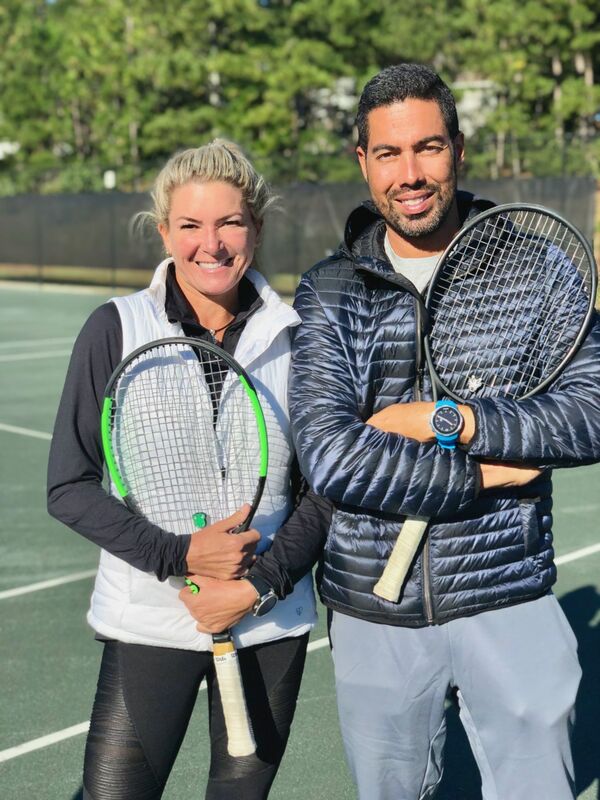 Whether you play for fun or are fiercely competitive, our tennis professionals will help you find a level of play to suit your game. 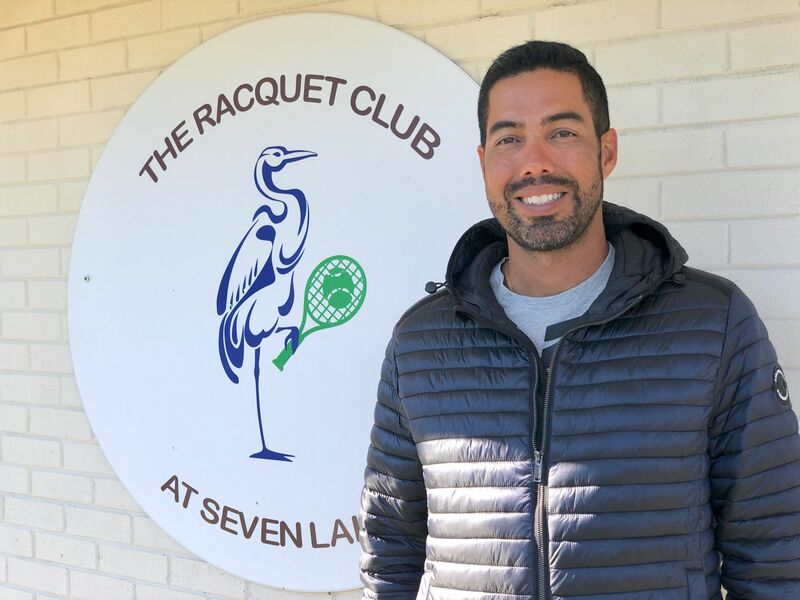 David was born and raised in Venezuela and moved to the United States to play college tennis at Metropolitan State University of Denver in Colorado. After three years, David transferred to Barton College in Wilson, North Carolina where he earned a B.S. degree in Business Administration. 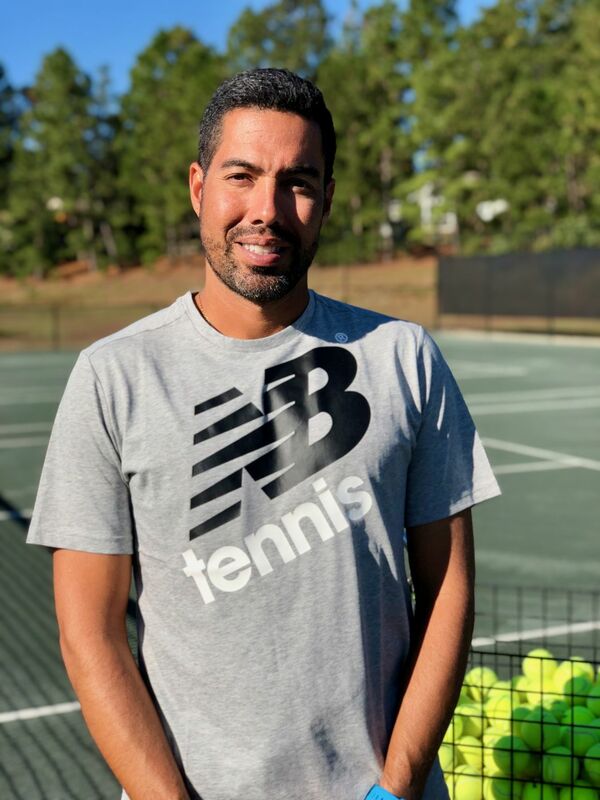 After founding The South Florida Tennis Academy, David moved back to North Carolina and has been coaching tennis since 2002. David is happily married to his lovely wife, Crystal, and they have three beautiful daughters ages 12, 9 and 8. David is excited to be a part of our tennis club and is looking forward to helping us grow our program, both adult and juniors. We are confident that he will help meet all of your tennis needs and desires! Co-Owner and former elementary school teacher, Canyn is Net Generation certified. 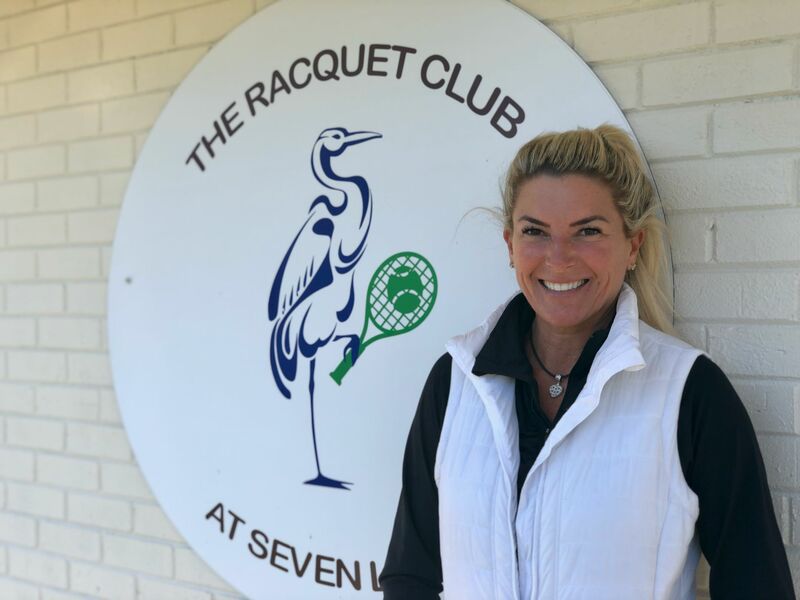 Canyn brings her own tennis experience to the court, as well as her enthusiasm for the game and her love of teaching young children. 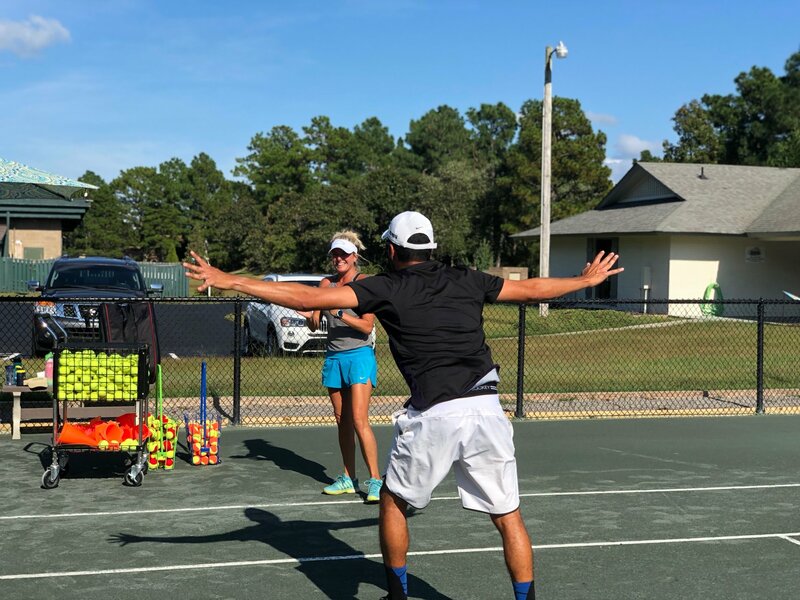 She specializes in 8 and under tennis and believes in the importance of first developing the ABC’s of tennis (agility, balance, and coordination). With Canyn’s talents as a coach, teacher, and mentor, she believes we can inspire kids to get in the game and stay in it. 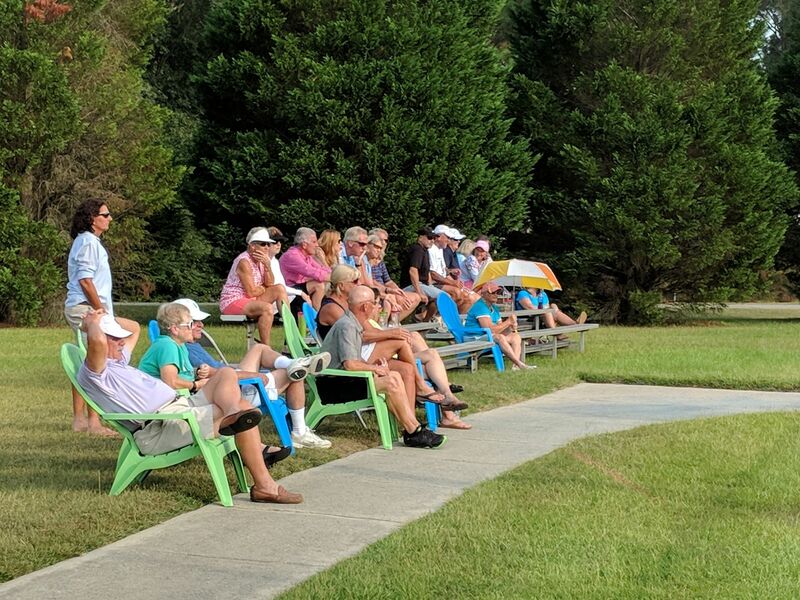 What is it like playing Tennis at The Racquet Club of SL? "Really like going to a family reunion." "Some call it mixed doubles, but I call it great tennis with a lot of fun." "It is competitive tennis with a party atmosphere." "Everyone goes home happy ... even if you lose." "And then the next day, we show up at 9:00 am again - because we love it." "My grandchildren are even learning the sport and love taking lessons from the skilled pros." "Come and join our tennis family." At the RC@SL we believe that tennis provides numerous benefits beyond just good health and activity. Kids learn teamwork, communication, balance, agility, hand-eye coordination, problem-solving and self-reliance, all while having fun and making friends. That is why we have partnered with Net Generation and are a certified Net Generation facility. Net Generation was designed to make getting into tennis easier for child and parent alike. 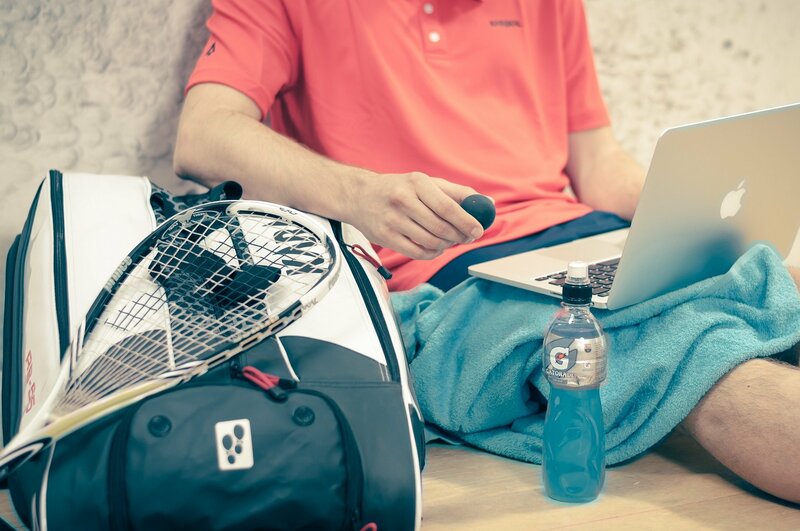 With new play formats and programs, Net Generation is changing the face of the sport. RC@SL provides regular weekday and weekend clinics for players of all levels. Additionally, we have two tennis professionals who are available for private, semi-private or group lessons. 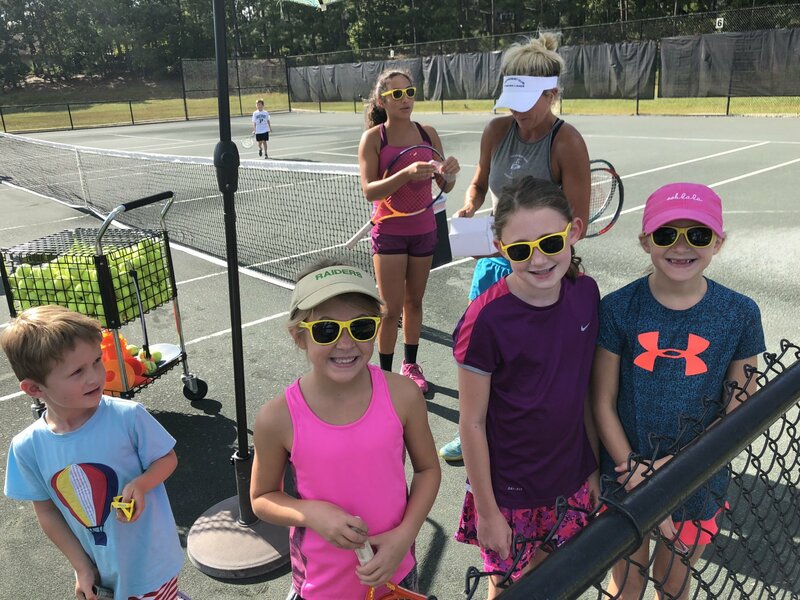 Daily open/free play tennis is a favorite for many of our members and on any given morning you will see players ages 36-86 out on our courts. 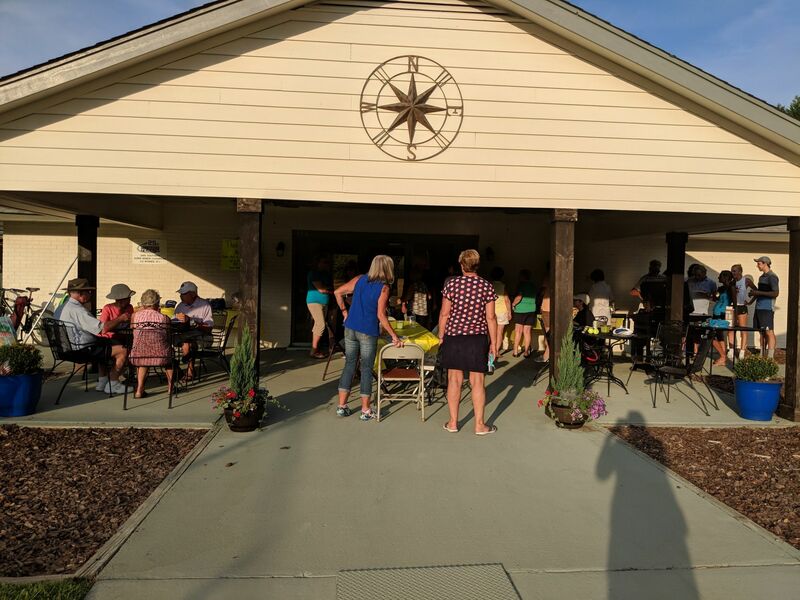 Our adult players also enjoy our monthly mixers and socials. With more than 320,000 tennis players taking part each year, USTA League is the country’s largest adult competitive tennis league. It’s a great way to stay active, improve your tennis game, and even have the chance to compete for a National Championship. If you love tennis, you will love the USTA. There are many different options based on your level, age and interests beginning in Spring 2019. Please contact us for more information.